Never use the paper form. Sorry for the delay, I have just finished work. I have acknowledged service and have selected to dispute the whole debt but have not yet put in a defence. I have an SAR ready to send to the parking company and have a CPR31.14 request I intend to send to the solicitor but I am unsure what documents to list as the Particulars of Claim are so vague. Could anyone help with what I should put? 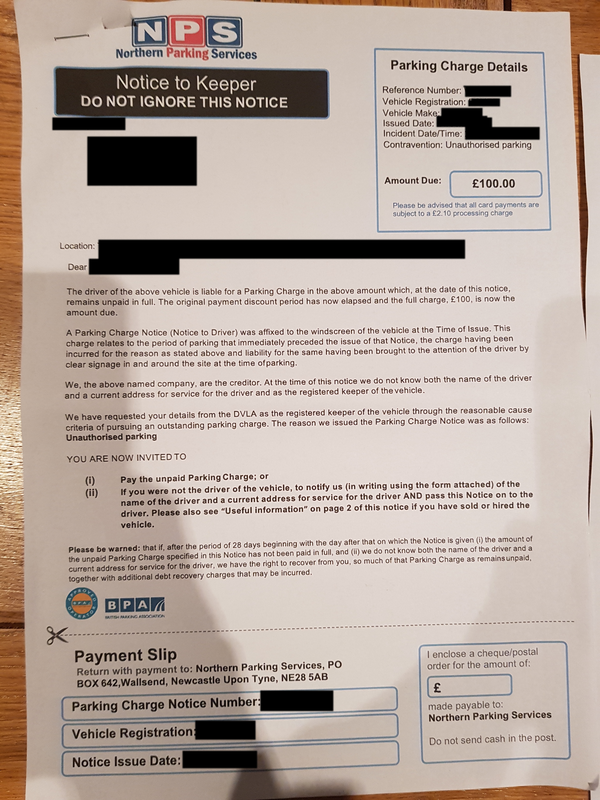 I don't have the original PCNs and as far as I am aware I never received any documentation through the post until I got the claim form but I did move out of the address I lived at and went away for the year shortly after the driver received the parking tickets. Here is a photo of the sign where the driver parked. The driver parked their in the early hours of the morning and it is a dark side street with no lighting, I don't know if the signs need to be lit up at all? Yes, the signs need to be lit so that they can be read. If you can't read them then there can be no contract. That sign is forbidding. It is only offering parking to permit holders and authorised persons. It would be perverse to say that there was a contract with non permit holders or unauthorised drivers. No contract means that there can be no charge for alleged breach of contract or agreed payment. The only claimant can be the landholder..  Send that SAR to NPS and a letter to the solicitors demanding all documents they intend to use in the claim. What credit agreement? You've lost me! Sorry my fault, I was using a template for the CPR31.14 that had that line in which confused me as I had no credit agreement. I have removed it. You want copies of signs, plans, etc. 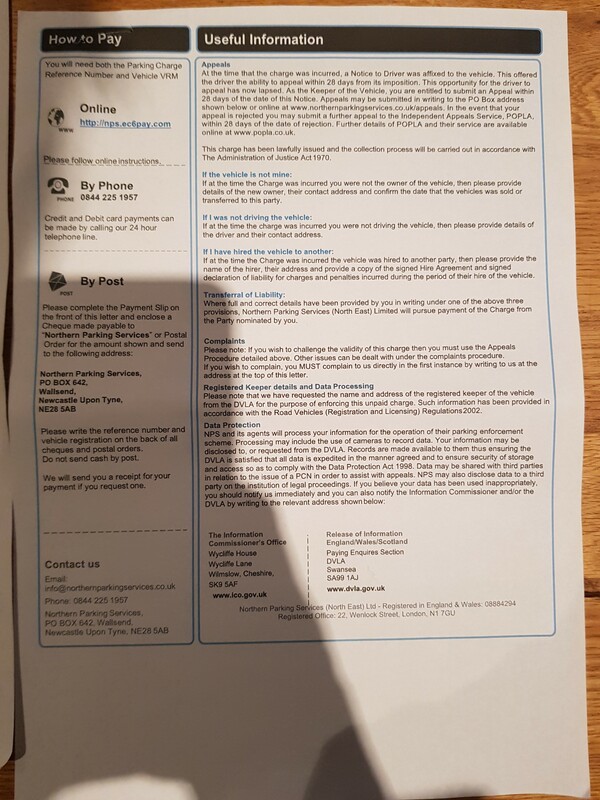 I am quoting CPR31.14 and have already sent that to the solicitors along with a SAR to the parking firm after following advice on a previous website before being directed over here. Was that incorrect? If so what would you advise me to do? My main issue is I moved away shortly after the incident and received no PCN or any of the threatening letters that were bound to have followed. I do no know any of the particulars and that coupled with my inexperience makes a defence very hard to prepare. I plan on setting aside a large portion of this weekend to work on my defence and I'm looking through previous examples for a basis to set mine on. As it stands I'm looking to base it on the fact the sign was not lit up and the particulars of the defence are so limited. Thanks once again for your time helping me with this. It was on the legal beagles forum but then they directed me over to here. Once I have completed my defence draft would it be ok if I post it on here for feedback? Yes, and of course you look over all other defences here - 2018 ones onwards, however! - you can make sure you dont make any easy to make mistakes, first time you do this! Sorry for the delay, I have had a response from DCB legal. 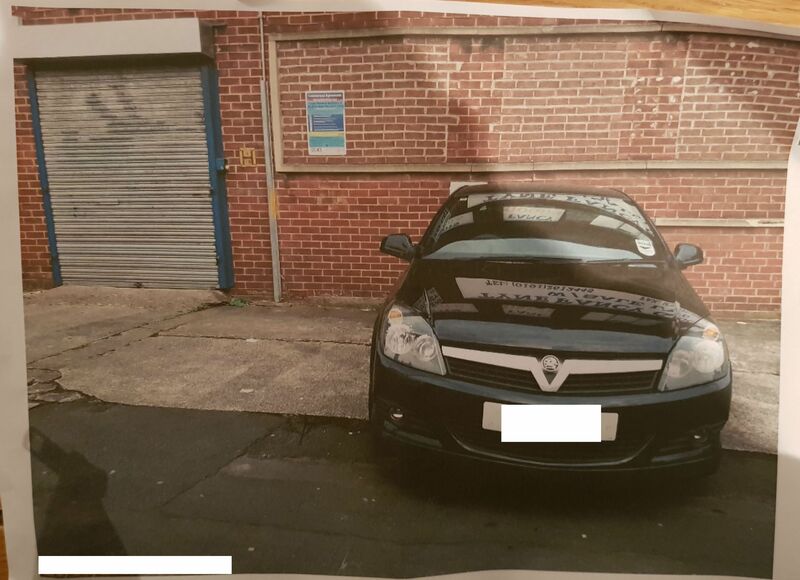 It contains a standard photo of a ticket on the car window as well as the one below along with the notice to keeper for each of the 4 parking tickets, but I am having issues getting the redacted copy to save on pixlr, can anyone suggest any alternatives? I have also made an attempt at my defence below. I'm terrible with legal jargon but this is my first effort after looking at a number of previous defences. 1. The Claimant has disclosed no cause of action to give rise to any debt. 2. The Claimant has stated that a parking charge was incurred. The Claimant has therefore disclosed no cause of action. which would enable the Defendant to prepare a specific defence. recovered from the keeper is the charge stated on the Notice to Keeper. difficult to read and there is poor lighting making it impossible to read at night. ICO breach and contrary to the Code of Practice. Any advice on what I should add, change or remove would be greatly appreciated. Try TinyPic and post the [img] tags direct to this thread. Here is a copy of one of the Notice to Keeper letters. How long between the incident and issue date? I didn't actually receive the notice to keeper initially as I had left the country but the notice to keeper the solicitor has provided suggests the issue date is the same date as the incident (I find this hard to believe as the first ticket was issued after 17:00.) The letter itself however is dated 36 days after the incident.